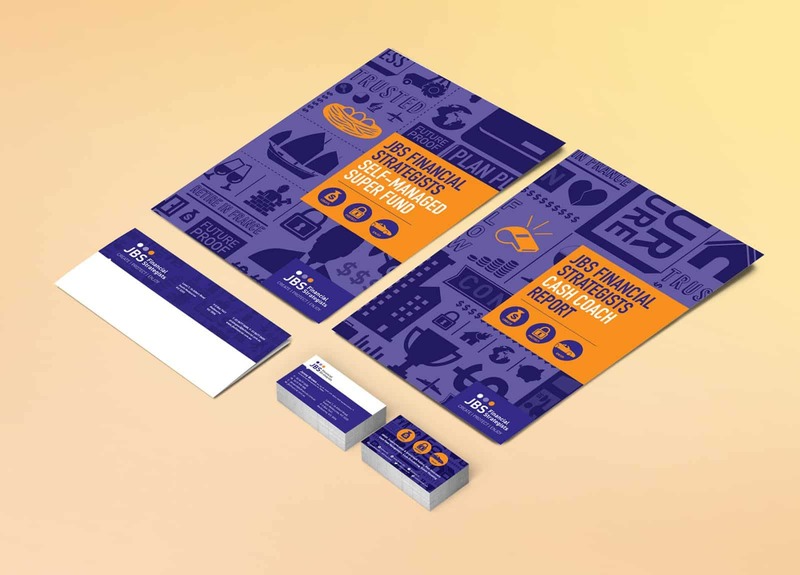 I don’t think we’ve met a more fun owner of a financial company than Jenny Brown, so we were delighted that she came to us for her branding refresh. The solution: Finance is all about life and how you can enjoy it better. This could be saving to retire and travel Italy, starting a business, or buying your first home for your growing family. 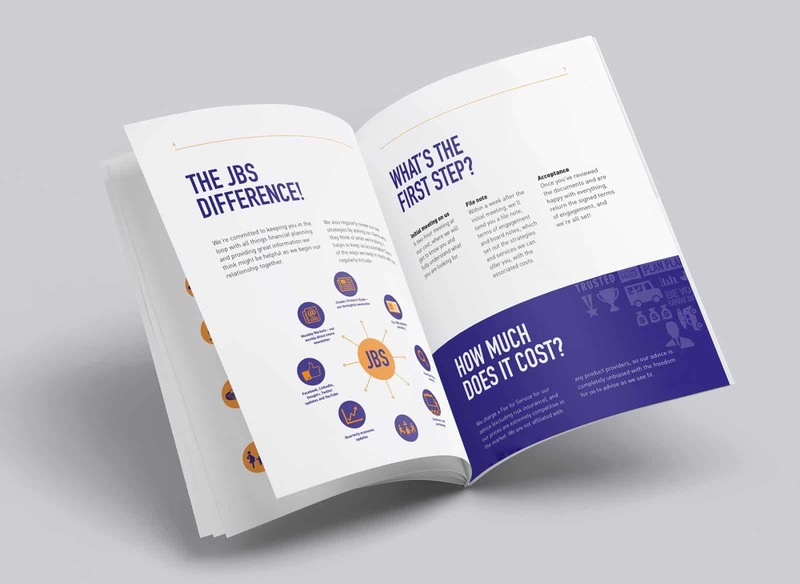 The branding includes an icon-based pattern to represent these things, selling the benefits of JBS’s financial planning instead of the process of it. This pattern is fun and flexible, having been cut and changed and zoomed in or out when it’s applied across JBS material. Their new branding is a fresh take on the world of finance, and very recognisably JBS.